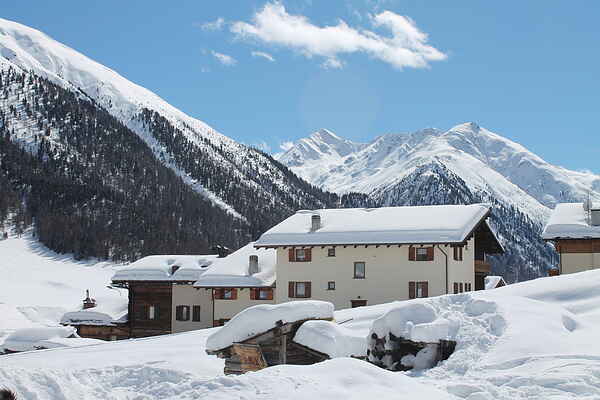 The Baita is located in the district of San Rocco, at just 30 meters from the ski lift Amerikan and 150 meters from the Carosello 3000 gondola. In the immediate vicinity you will find bars, supermarkets, grocery, butcher shops, restaurants and nightlife. The free ski bus stop is in front of the house with the blue, red and yellow lines. The Baita has more apartments of different sizes. The apartments are spacious, the rooms are bright and well furnished with a touch of elegance and originality. The Baita was recently renovated, as well as interior furnishings for a relaxing holiday in a comfortable and familiar house. In the center of Livigno you can immerse yourself in the fashion atmosphere of the most famous brands. Besides the shopping, you can also enjoy the benefits of a relaxing walk on the pedestrian track, next to the bike track, ideal for nature lovers.